Irecently got a tip about the movie Raggedy Man from Texas tattoo history buff Matt Collins. Raggedy Man, which was released in 1981, stars Sissy Spacek as a divorced mother and was set in a small Texas town in 1942. Eric Roberts co-stars as a sailor who visits North Beach in Corpus Christi, Texas. During one scene in North Beach, "Bill the Beachcomber" is seen tattooing in the front of his shop at 2810 Surfside. In the 1950s Bill and his wife settled into the North Beach area of Corpus Christi. Located on the Gulf of Mexico, Corpus Christi was a popular stopover for tourists. The beach area where Bill was located remained a popular destination until the Harbor Bridge was built in the late 1950s and traffic was detoured away. By the time I got to North Beach in the mid 1960s, North Beach had been battered by hurricanes for decades, including Hurricane Carla in 1961. The one-time popular tourist hotel like “The Breakers” was run down and on the brink of closing and only a few curio shops, restaurants and bars were still in operation. Two tattoo shops, one owned by Bill Matthews and the other by L.R. Dean, both located on Surfside Blvd., were still holding on. This beach section of Corpus Christi had been a place where people gathered for centuries. The Karankawa Indians were there when the Spanish and French arrived in the 1500 and 1600s, but were mostly wiped out by the 1850s. Bruce Collins (1896-1986) is often considered the father of the modern North Beach. Many of his improvements made the beach a top attraction including the pier, saltwater swimming pools, dance pavilion and amusement park. Collins stressed the importance of the tourist industry and modeled North Beach or as he liked to call it, Corpus Christi Beach, after Coney Island in New York and the Pike in Long Beach, California. Corpus Christi Beach, located at the north end of the horseshoe shaped Corpus Christi Bay, was also known in the past as Rincon and Brooklyn. Tourist postcards from the 1940s show large crowds of people on the beach with carnival style rides in the background. In a 1972 letter written to Paul Rogers Bill stated, "I hardly ever use my own name, as The Beachcomber sounds better to the tourist." At this time Bill was probably in his 70s and semi-retired in Corpus Christi. He and his wife ran a tattooing, curio and novelty shop in this gulf port town. 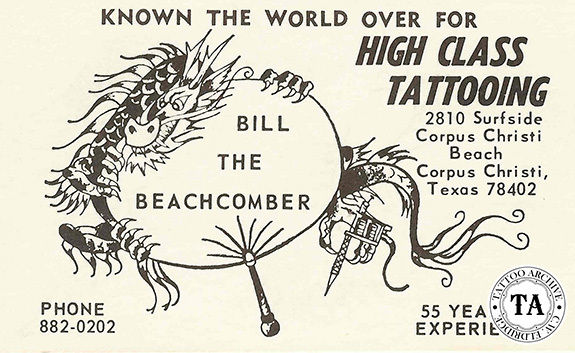 Bill's shop was a strange combination of tourist souvenirs and tattoo flash, with a scent of sea air and Listerine. Through the years Bill and his wife worked at least two different locations: one at #2810 and the other at #3104 Surfside Blvd. 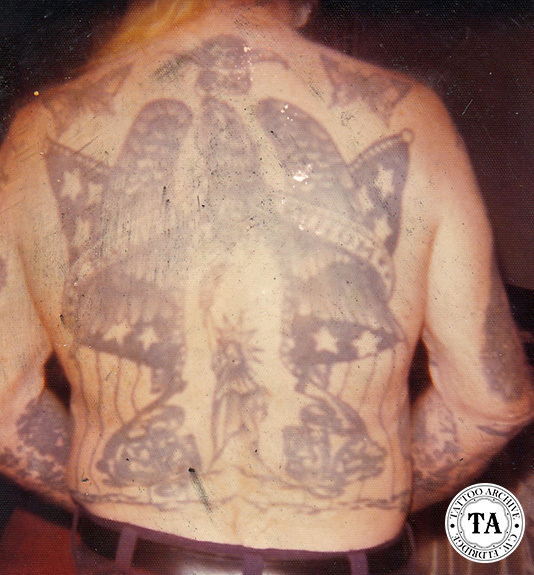 Bill corresponded with Paul Rogers and from those letters we have learned that Bill started tattooing by hand at the age of 12. His first tattoo machine was a Percy Waters that he ran off batteries. He continued to tattoo pretty much as a hobby while holding down jobs in the carnival. 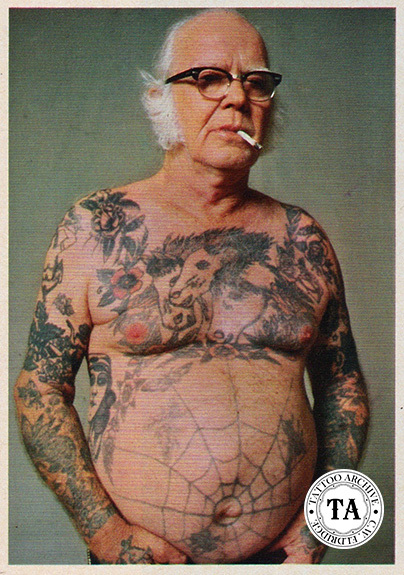 He also worked in the photo business and sailed as a Merchant Marine, all the time tattooing on the side. In the mid 1960s most of his store was given over to the souvenir business, but in one corner of the shop Bill proudly carried on the grand seaman's tradition of tattooing. Bill Matthews died in 1984.